Today is Sarad Purnima. Moon, specially the full moon, plays a great role in Indian literature, traditions, customs, rituals and in the lives of the common men. 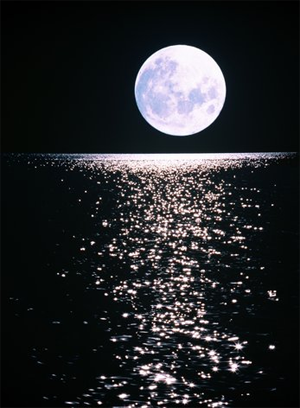 By great coincidences many sages, seers, saints, prophets, gods and goddesses were born on full moon days. For example, Mahaveer and Gautam Buddha were born on full moon days. Buddha died also on a full moon day. Today, for example, is the birthday of Mother Lakshmi, the goddess of wealth. Further, on this day, Kartikeya, the handsome son of Shiva-Parvati and the army chief of the gods was born. Across India Sarad Purnima is considered as an auspicious day. Goddess Lakshmi is worshipped in many parts of India like Maharashtra, Gujarat, Mithila and other northern states. People keep awake the whole night, and play ‘pasha’, an Indian equivalent of chess. In Orissa, Sarad Purnima is special and is also called Kumar Purnima, Kumar stands for Kartikeya. Specially young girls worship Kartikeya to have handsome and strong bridegrooms in their lives. In Gujarat, Brindavan and Braj Krishna lila takes the centre stage. Beautiful prayers, love songs accompany the dances the whole night. Legend has it that Lord Krishna invited the young gopikas for night-long dance and pretended to mock that how could they leave their home at dead of night to dance with another man. The gopikas felt sad and humiliated, but covered up his statements by loving words, caresses, embraces and romantic dances. It is in essence a ‘harvest’ festival that falls during Sep-Oct every year, that is just after the monsoon. In the spirit of joys and happiness coupled with sublime thoughts and sacred traditions let us all greet each other and enjoy this lovely full moon night. The clouds are few and moon beams are bright to bring in each eye dreams! Dear Rajender ji, it is so thoughtful of you to provide a very lovely and appropriate illustration of full moon. It heightens the effects of the article several times. Thank you, and happy Sarad Purnima.